That’s all folks! Odds or Evens ended its festival run with two big awards. 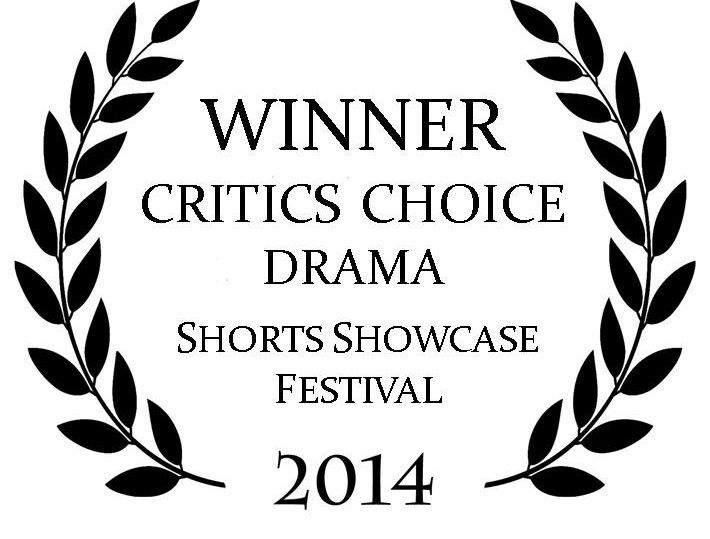 It won Best Drama and the grand prize, Best Overall Film at the 2014 Shorts Showcase Film Festival in Palm Springs. When it was all said and done, our film took home four awards during its two years on the festival circuit. Thank you so much to our family and friends who supported the film. Special shout outs go out to our talented actors and amazing crew. With that, we’re putting Odds or Evens to bed. However, you can always watch it here. That’s a wrap! This is certainly a pleasant surprise. The Dallas Indie Festival has invited us to screen our short film, and it’s all thanks to our talented Director of Photography, Jeff Adair. After seeing Jeff’s diverse body of work in the field of film and video, the folks at the Dallas Indie Festival were quite impressed. They were kind enough to ask Jeff to screen Odds or Evens at this year’s festival – and the answer was a resounding YES! In fact, our short firm is part of the festival’s opening night program. Even the Dallas Observer gave our film two thumbs up. Just when we thought our festival run had run its course… SURPRISE! We’re in another film festival. 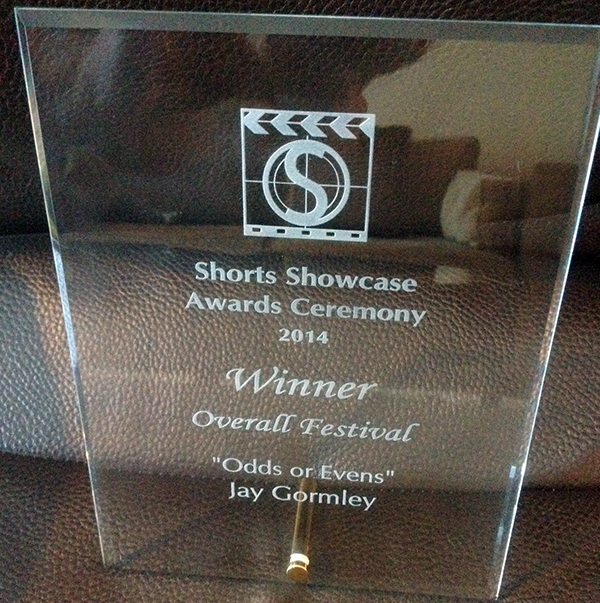 Odds or Evens is an official selection of the 2014 Shorts Showcase Film Festival in Palm Springs. 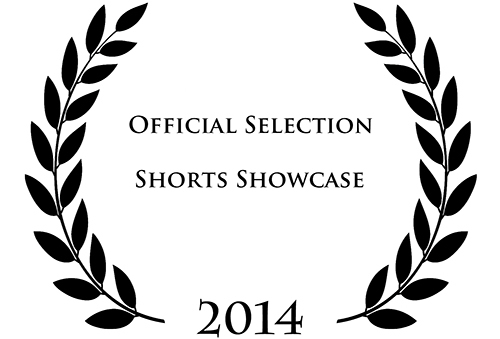 Not only is the film an official selection, but our short is up for an award. You can check out the award categories and information about the festival here. 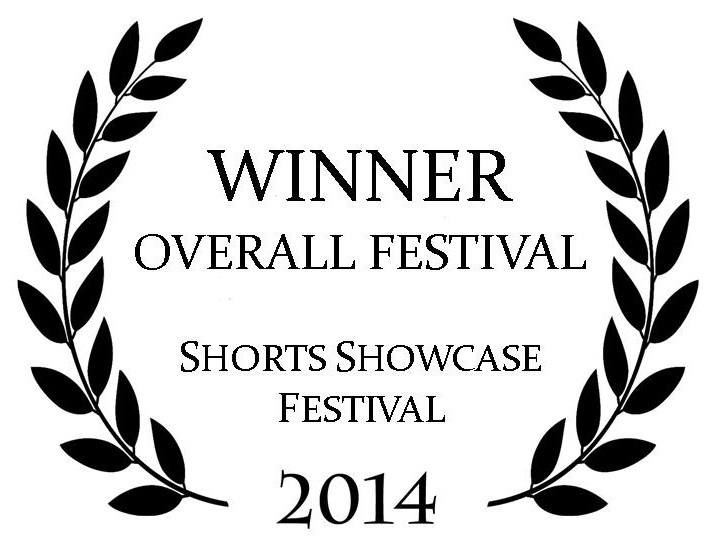 The Shorts Showcase Festival Awards Ceremony takes place in the Fall of 2014, with actual dates still to be determined. 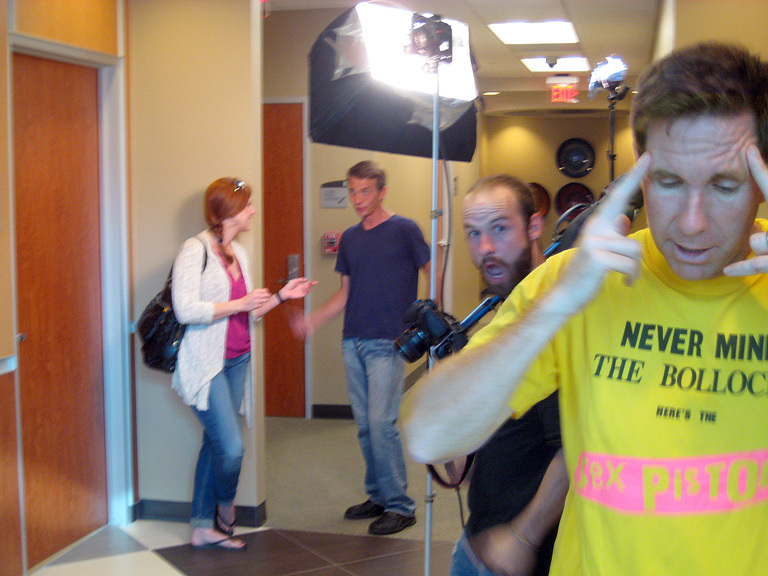 People often ask – why the hell did you make a short film? Good question. Why did we make a short film? We certainly didn’t get rich off of it. In this recent article in Connect 2 Media & Entertainment, the answer as to why shorter is sometimes better may provide some insight. And what the hell… Odds or Evens is mentioned in the article. 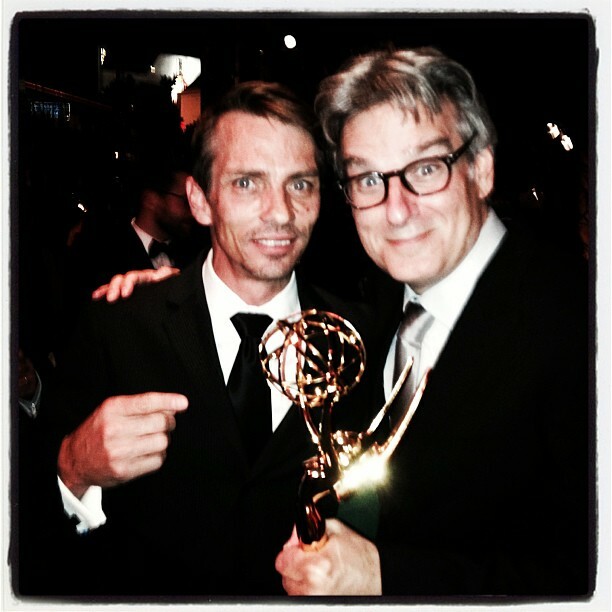 Actor, Charles Baker (left) celebrates Breaking Bad’s Emmy for TV’s Best Drama. Don’t miss Odds or Evens’ very own lead actor, Charles Baker, tonight on the Conan O’Brien Show on TBS (11 pm EST/10pm CST). Charlie will be sitting in on piano with Conan’s house band, The Basic Cable Band. For those who may not know, Charlie is pretty damn good on the ivory keys. His prowess was featured on Breaking Bad and is duly noted in this video interview with the Hollywood Reporter. A special shout out to talk-show host, Anita Rufus of K-News radio in Palm Springs. Anita was kind enough to invite actor, Charles Baker and director & co-writer, Jay Gormley on her show to discuss our short film. Leanna Bonamici, the head of Shorts Showcase also joined the conversation, which ranged from the importance of short films to why Charles decided to play the lead in Odds or Evens. Thank you, thank you, thank you. Because you watched, PBS listened. Out short film, Odds or Evens, received nearly 2,500 views in less than two months. Not bad, considering it requires viewers to take 20 minutes out of their busy schedules to watch our short. Since our film has received the most views so far on the Shorts Showcase YouTube page, it has been chosen to air on PBS (KVCR) in Southern California this Saturday, July 20 at 11 pm (PST). 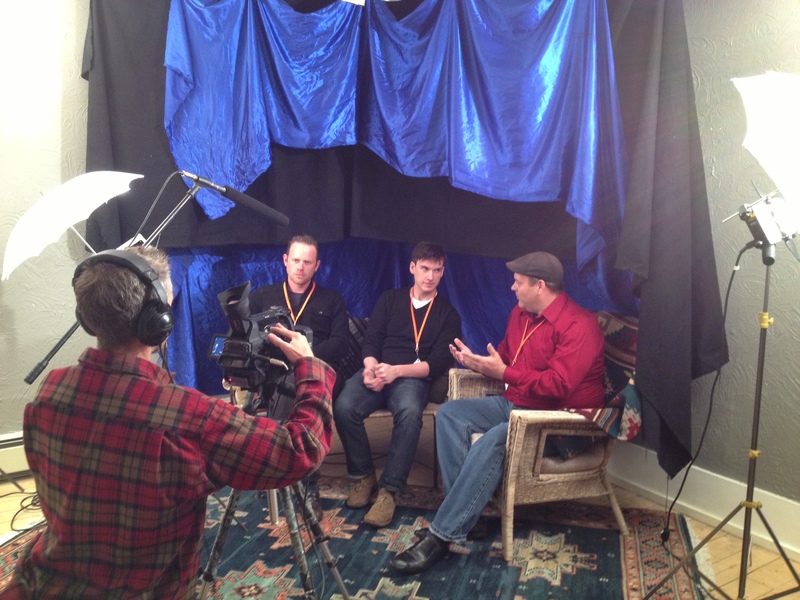 We want to send out a big “THANK YOU” to those who attended the Taos Shortz Film Festival. Our film received an honorable mention for the “People’s Choice” award. In simple terms, we finished near the top among the audience’s favorite films. Not bad, considering about 100 short films screened at the festival. Thank you, Taos!